I can’t believe that I am now in New York. All the tiring 20 hours of travelling by air I guess is all worth it. 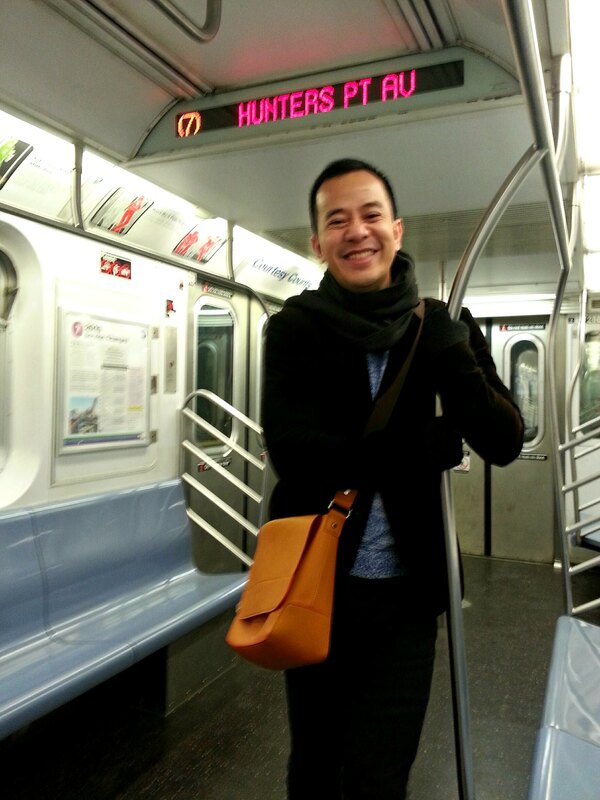 My first day in New York was basically an orientation with my super friend Jhong on how to use the complicated subway. But with my practical background of experience, I can proudly say that going around New York by myself via intricate subway would be an easy stroll in a park. I attribute this easy learnings from two tenets. First is my exposure to the equally complicated subways of Tokyo and Osaka. I think navigating Japan trains is more challenging because the names of the stations are written in Japanese kanji, and if written in the English alphabet the names of these Japanese stations are really very hard to remember. Japanese train station names looks and sounds like they are from another planet. I was so channeling my Japanese-subway learnings that it became so apparent because a couple times Japanese tourists thought I was Japanese and asked me in Nipponggo on how to go to certain points of New York. 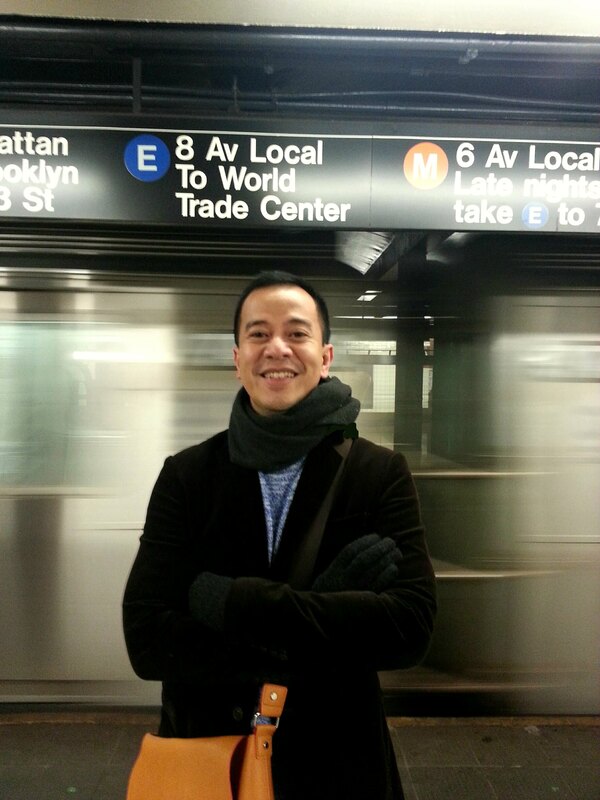 Second, I am all but well trained and exposed to the Metro Manila congestion. I am proud to say that I am ready to face the New York crowdedness because of my exposure to the Manila congested trains. Nothing beats the crammed people-congested trains of Manila. It’s hot, humid, jam-packed,smelly, hazardous and least to say, inefficient. That is why on my second day in the State of New York, no thanks to the allergy attacks of my super friend (I guess this is due to stress upon realizing that I would be staying in his apartment for 2 weeks, hahaha!) I went on my own and easily navigated the New York subway from Woodside in Queens to the glorious Time Square in Manhattan and back. It was supposed to be very easy but things got challenging when there were a couple of stations that were unpassable and were under maintenance, thus, the need to change lines and platforms. But all went well, thanks to my Japanese and Manila train trainings.